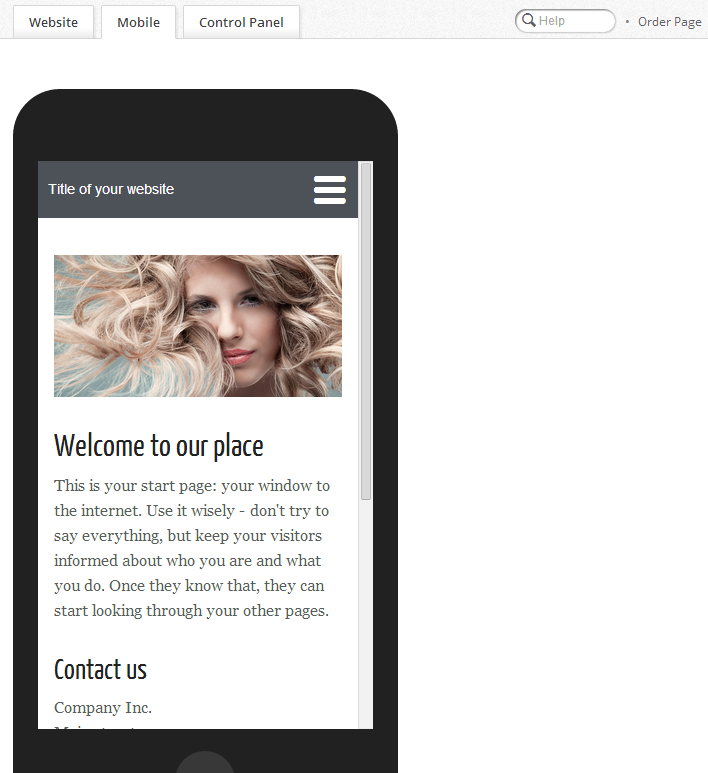 In the bottom left corner of your website canvas you will find two buttons: Website and Mobile. When you click the Mobile button, you will be taken to a preview of what your website would look like if displayed on a mobile phone screen. In the Mobile view, you can see a preview of your mobile website. In the panel on the right hand side of your screen, switch the Mobile website button to On (this is the default mode) to activate your mobile website. 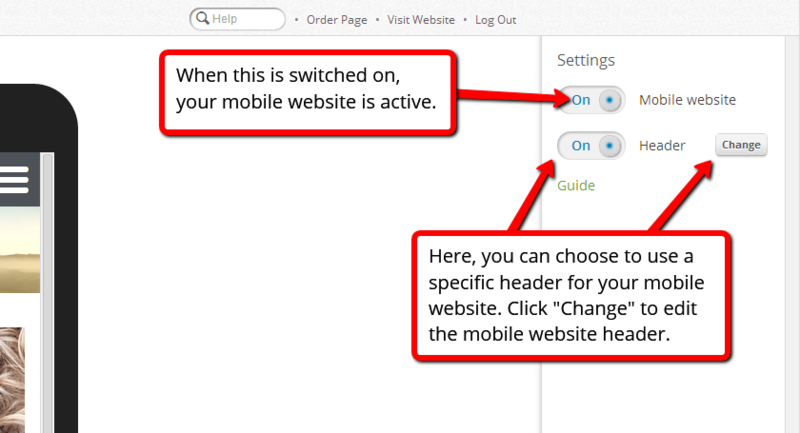 The Header switch (turned On by default) allows you to use a specific header for your mobile website. 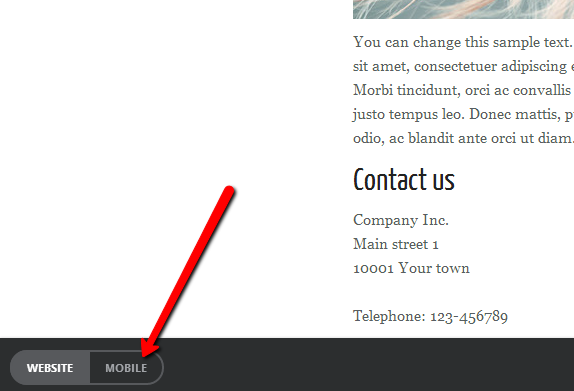 This header can be edited, and will only be visible when your website is visited from a mobile phone. When finished, click Done in the bottom right corner of the panel.